So here we have the finished product all installed. As you can see it really opens up the views into the back yard. 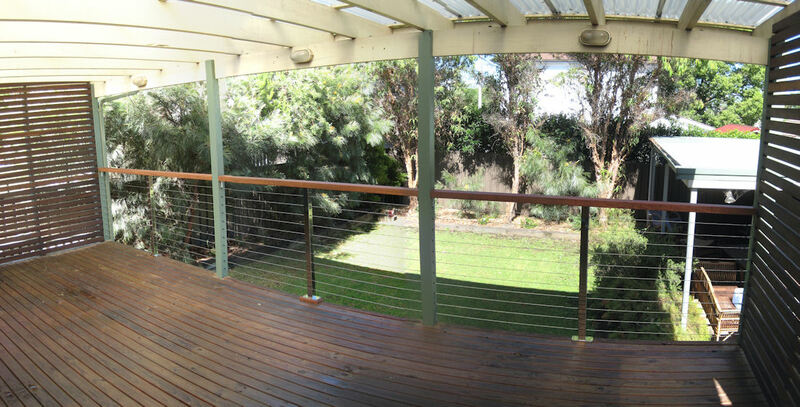 And the final view on the balustrade down onto the rear drive way. As I mentioned before this project has been nagging away in the back of my mind and it got to the point where I could not stand it any more. With a bit of preparation and patience along the way I can say that I am a very happy camper. I don't think there is any part of the installation that I could have done any better considering this was the first time round. It has renewed my interest in DIY and I am starting to think about the next project that I undertake on my place. Thanks for having a read of the website.